08-Apr-2018 - Update: dropped the ball a bit on the new album, but it's being mastered and should be out later this month. 13-Mar-2012 - The eighth album, 'Baklawa Doom' is now released! 21-Nov-2010 - Mixed the bulk of the next album. Will need to remix at least one track, though. 20-Apr-2010 - The sixth album - '...And Daryil Answered' is now released! 01-Apr-2009 - 'Three Little Pigs' is finally released! 07-Feb-2009 - Delay on the album. Looks like I'm going to have to choose another mastering engineer. 18-Oct-2006 - 'Songs for the Wild-At-Heart' now complete! 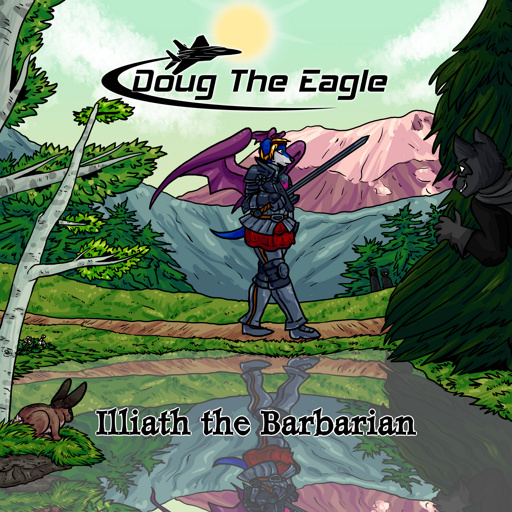 Welcome to the band website for DOUG the Eagle. Technology refresh thanks to Sofox! Copyright (C) 2019 Joseph Paul Morris - audio provided for personal use only. Logo by Luke A. Turner.